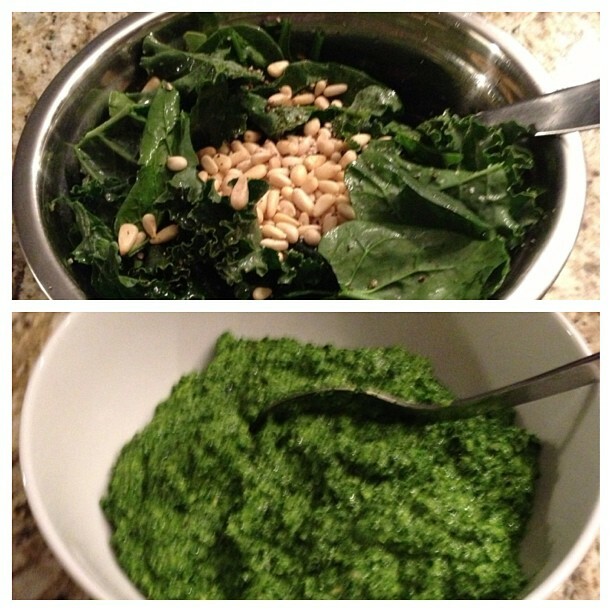 It is great for Detoxification & Weight Loss – There are 5 grams of fiber in just one cup of kale! This is amazing for aiding in digestion and elimination. It is packed with vitamins A, C and K, as well as calcium and magnesium with all help to strengthen the immune system. It is filled with Antioxidants such as flavonoids and carotenoids which all help to fight cancer. It is also extremely high in iron – in fact per calorie it has more iron than beef. Contributes to brain & nervous system function – it is extremely high in vitamin K which helps to synthesize spingolipds, which are the crucial fat that make up the myelin sheath around our nerves. 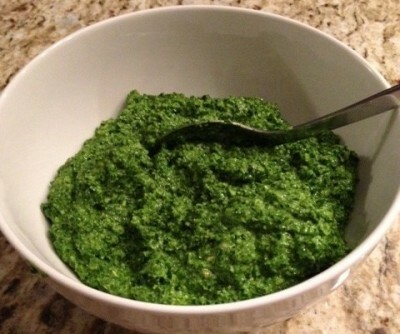 Spinach is also packed with Antioxidants – such as vitamins C, E and beta-carotene, as well as zinc, manganese and selenium! It is also great for your skin – the high amount of vitamin A in spinach increases moisture retention throughout the epidermis, which helps to fight psoriasis, wrinkles and acne. Pine nuts are actually an excellent source of Vitamin D – which among many things helps us to build stronger bones. They are higher in protein than many other nuts. They are also very nutrient dense – and contain high amounts of magnesium, iron, manganese, potassium and thiamine. They also have a high concentration of mono-unsaturated fats – which paves the way for a healthy cardiovascular system. Lowers blood pressure & is a natural blood thinner. Has an extremely large amount of monounsaturated fat due to its high oleic acid content also know as omega 9 – this helps to lower the risk of diabetes and cardiovascular disease. Mix all of these together in a bowl and then mix well in food processor until smooth. Voila! !